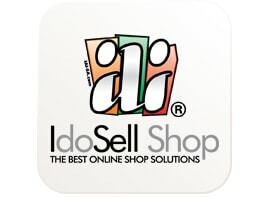 IdoSell Shop is a complete eCommerce platform, based on cloud architecture for online shops and wholesale stores. The IdoSell platform aims to automate most tasks necessary for both online and offline sales. Visit http://www.idosell.com/ for more information. Why use IdoSell Connector for Linnworks in your business? IdoSell is one of the leading shop platforms in the UK. Our IdoSell connector is an application which is embedded into Linnworks, and developed and supported by eBusiness Guru. To succeed in the modern eCommerce world, the key to your success is to ensure your customers get a great experience when they shop with you, such as receiving prompt order update notifications. The IdoSell integration for Linnworks enables you to manage your orders for all your channels together, without the inconvenience of additional logins. What can IdoSell Connector for Linnworks do for me? IdoSell Connector for Linnworks connects your IdoSell platforms to Linnworks using the information you provide. Your IdoSell orders will be downloaded into Linnworks at every set synchronization time, so you can process these orders alongside your other Linnworks orders. When you process your orders, our connector sends dispatch notifications to IdoSell with the tracking number, saving you time - you don’t need to separately log into, or update IdoSell. The app also minimises the time required to be spent on inventory management on IdoSell - as you process orders, your inventory is also updated in Linnworks. On IdoSell, you need to login separately for each different country. The EBG IdoSell app maintains all your IdoSell accounts in one place, saving you time and effort logging into - or trying to remember the login information for(!) - each account. How easy is it to start using the IdoSell Connector for Linnworks? Our IdoSell Connector for Linnworks is designed to be easy to use, and can help your business grow by reducing the order management requirements for you and your staff. Once registered, there are no manual processes - the app will continue to run, with orders downloaded into Linnworks alongside your orders from your other sales channels. What benefits does IdoSell Connector for Linnworks bring to my business? Save time with IdoSell Connector for Linnworks. Increase customer satisfaction, reduce last minute panics and monitor the performance of your staff, all with just one login, within Linnworks. Simplify your processes and increase efficiency with the IdoSell Connector for Linnworks.